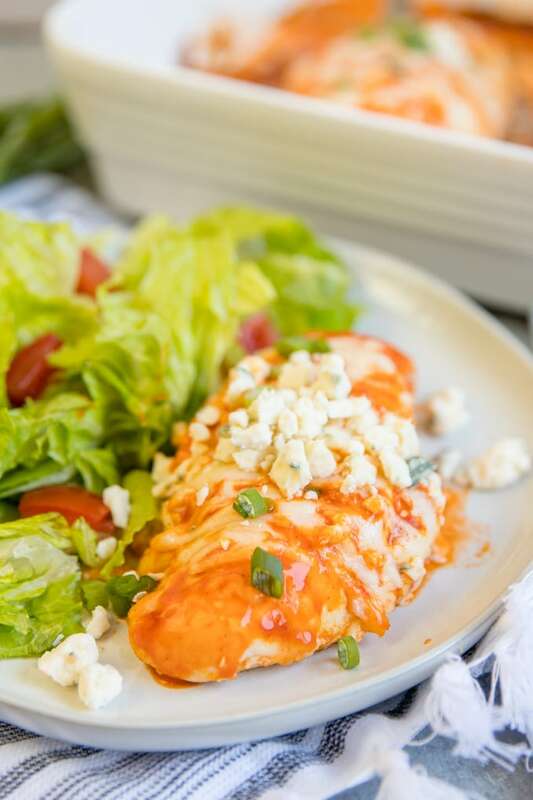 This Cheesy Baked Buffalo Chicken recipe is tender and juicy, with a big kick of heat that’s cooled by creamy, melted cheeses. 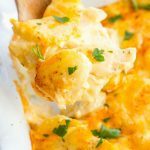 It’s an easy, 3-ingredient baked chicken recipe that is delicious and full of flavor, and pairs well with simple sides like One Pan Cauliflower Mac and Cheese, 5-Minute Parmesan Ranch Broccoli and Cheesy Garlic Bread. I am a sucker for anything with buffalo sauce. 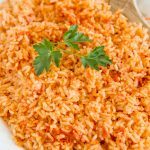 I love me some Buffalo Chicken Dip and especially Crispy Baked Chicken Wings slathered in buffalo sauce. 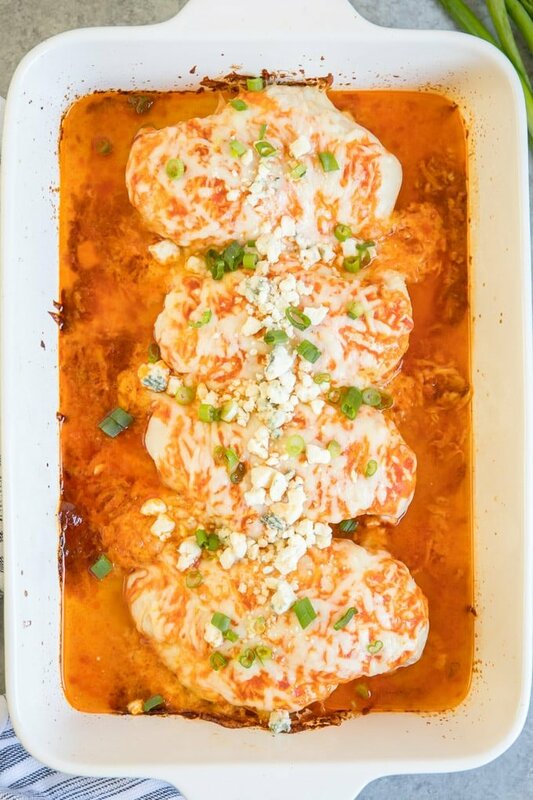 My family shares my passion and that’s how this Baked Buffalo Chicken recipe was born. I wanted something a little more substantial and easier to eat for my kiddos who both just got braces. Chicken wings are my son’s favorite, but peeling the meat off of those little wings is incredibly time consuming. My family are not huge fans of white meat chicken. They’ll eat it, but it’s not usually their preference because, as my son so lovingly puts it, ” I like soft chicken!” meaning thighs that are naturally more tender than breasts because of their high fat content. 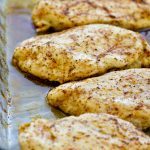 I want them to eat a little healthier so I’ve learned a few tricks to keeping boneless, skinless chicken breasts more tender and moist. 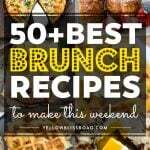 WHAT TEMPERATURE SHOULD CHICKEN BE COOKED TO IN THE OVEN? Chicken breasts should be baked at a higher temperature for a shorter amount of time. 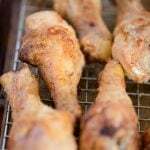 Baking chicken at 350 degrees for 30 minutes will leave you with dry meat, but baking at 450 for 15-20 minutes will yield juicy, tender chicken every time. 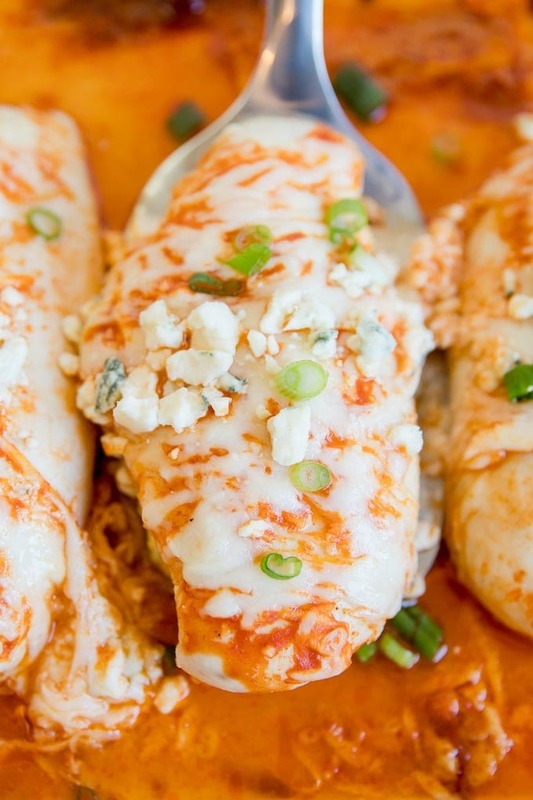 Baked Buffalo Chicken is smothered in sauce and cheese, so the cooking temperature will be a little lower, at 400 degrees so the cheese won’t burn. Because the chicken in this recipe is coated with cheese, we’re going to cook it somewhere in the middle, at 400 degrees so we don’t risk burning the cheese. This will allow the cheese to melt and still give you a tender, juicy piece of meat. Always start by preheating your oven; in this case to 400 degrees F.
Lightly pound chicken breasts to an even thickness. Place the meat in a large ziploc bag or between two pieces of plastic wrap. 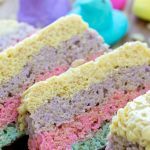 Using a mallet, a rolling pin or even a heavy bottom skillet, gently pound the larger sides out until they are all about the same thickness. This will ensure that your chicken cooks evenly throughout each piece. 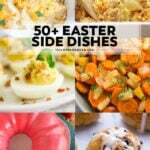 Place the breasts side by side in a large baking dish. They can be tough, but should not be overlapping. You can’t have Baked Buffalo Chicken without the buffalo, so pour a good amount of Buffalo Sauce over the chicken then top with shredded Mozzarella cheese. Please buy the big ball of Mozzarella and shred it yourself – don’t use pre-shredded as it is coated in preservatives that will prevent melting. Bake the chicken at 400 degrees for about 15-20 minutes. Test with a meat thermometer that should register at 165 degrees when the baked buffalo chicken is fully cooked. This may take a little less or a little more time, depending on the size. Garnish with blue cheese crumbles (totally optional but I personally love them) and sliced green onions before serve. We like to also serve extra buffalo sauce and ranch dressing on the side. Place chicken breasts in a large ziploc bag or between two pieces of plastic wrap and lightly pound until they are of even thickness. Spray a 9x13-inch baking dish with nonstick cookie spray. Place chicken breasts in the dish side by side. 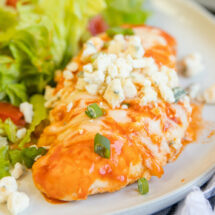 Pour buffalo sauce on top of the chicken (use more or less to your taste). Top evenly with shredded Mozzarella cheese. Bake in the preheated oven for 15-20 minutes or until chicken is cooked through and registers 165 degrees on a meat thermometer. (Depending on the thickness of the meat, this could take a few minutes longer). Let stand for 5 minutes, then serve garnished with blue cheese crumbles and sliced green onions. 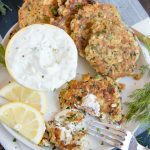 *Blue cheese fans can add blue cheese crumbles before baking so they will melt with the mozzarella - so yummy!